Thus far, Beth A. 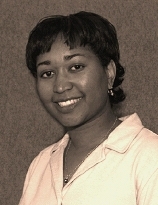 Brown is the only African American female to capitalize on her Ph.D. in astronomy to find employment outside of academe. She works in the Astrophysics Data Facility at the NASA Goddard Space Flight Center in Greenbelt, Maryland devoting her time to multiwavelength research on elliptical galaxies and educational outreach targeting middle and high school students. She has co-authored several articles on the Crab Nebula and X-ray emission from early type galaxies. 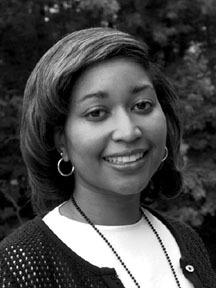 Beth Brown is a high-energy astrophysicist and the first black woman Ph.D. from the University of Michigan, Department of Astronomy. After earning a Ph. D., she became a National Research Council Resident Research Associate where she divides her time between multiwavelength research on elliptical galaxies and educational outreach. Dr. Brown is the NSSDC principal astrophysics acquisition scientist. In this role she will be NSSDC's primary interface to such Science Archive Research Centers (SARCs) as the High Energy Astrophysics SARC at Goddard, the Multi-Mission Archive at STScI (MAST) and the Infrared Science Archive (IRSA) at Caltech. She will also help to "rationalize" NSSDC's legacy holdings of astrophysics data in light of data supported at the SARCs which are also to be permanently archived at NSSDC. In addition to these duties, Dr. Brown is also engaged in astrophysics research and educational/public outreach. Dr. Beth A. Brown is a former Administrative Executive officer of the National Society of Black Physicists (NSBP). For many years she was involved with the National Conference of Black Physics Students (NCBPS). references: Fikes: From Banneker to Best: Some Stellar Careers In Astronomy and Astrophysics; Brown's web pages; and Dr. Beth Brown.